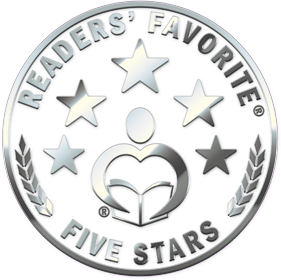 Readers' Favorite announces the review of the Fiction - Social Issues book "Porcelain Faith" by Anthony Civiletti, currently available at http://www.amazon.com/gp/product/1548074373. A brilliantly plotted and beautifully written novel, Porcelain Faith: A Novel by Anthony Civiletti takes readers through a web of complex relationships in a world that has its own share of issues. Meet James, a man who is struggling to cope with the social changes around him and who also has issues with the woman he loves. Leah is worried about her relationship with her new boyfriend, James, and so she seeks help from the most unlikely of people — Sylvia. Leah’s former prom date has just been disowned by his father, who is a Lutheran pastor, because he is gay. Leah wants to get James to step in and help Daniel fix his relationship with his parents. Can Leah succeed in creating harmony in her chaotic world? There is so much for readers to discover in this novel. The characters are beautifully crafted and they feel real — with their worries, their anxieties, and their quest for meaning. Leah was my favorite character, generous and seemingly naïve. James is a strong character, but his challenge in accepting change and reconciling with the fact that things can’t always be the way he wants them to be is evident in the narrative. Anthony Civiletti knows how to infuse life and humanity into his characters, exploring different themes such as sexuality, gender, and family, and the realism in the story is strong. The setting comes out beautifully. One of the things that caught my attention is the author’s ability to create dynamic and focused scenes; the prose is powerful and the narrative voice is also very clear and compelling. 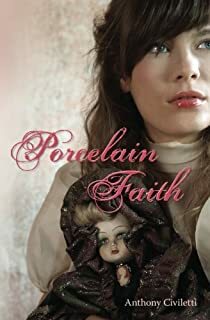 Porcelain Faith: A Novel is well done and hugely entertaining." You can learn more about Anthony Civiletti and "Porcelain Faith" at https://readersfavorite.com/book-review/porcelain-faith where you can read reviews and the author’s biography, as well as connect with the author directly or through their website and social media pages. "Dare To Know What Others Fear To Ponder!"